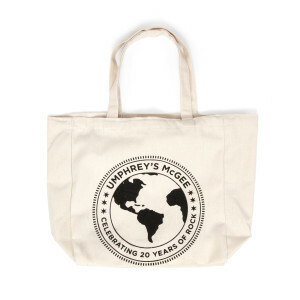 Celebrate 20 years of UM with this reusable grocery tote and save the Earth in the process. Everyone wins. Saving the environment and celebrating 20 years of UM! The only thing better than this bag, is filling it with groceries so I can get home to COUCH TOUR!!!! This bag is very trusty. I love rockin' my Umph merch and my planet! What a great way to represent good music and not pollute. Used it every single day since purchase! Great tote/book bag made out of sturdy material! Easy to fold up and pack for trips. 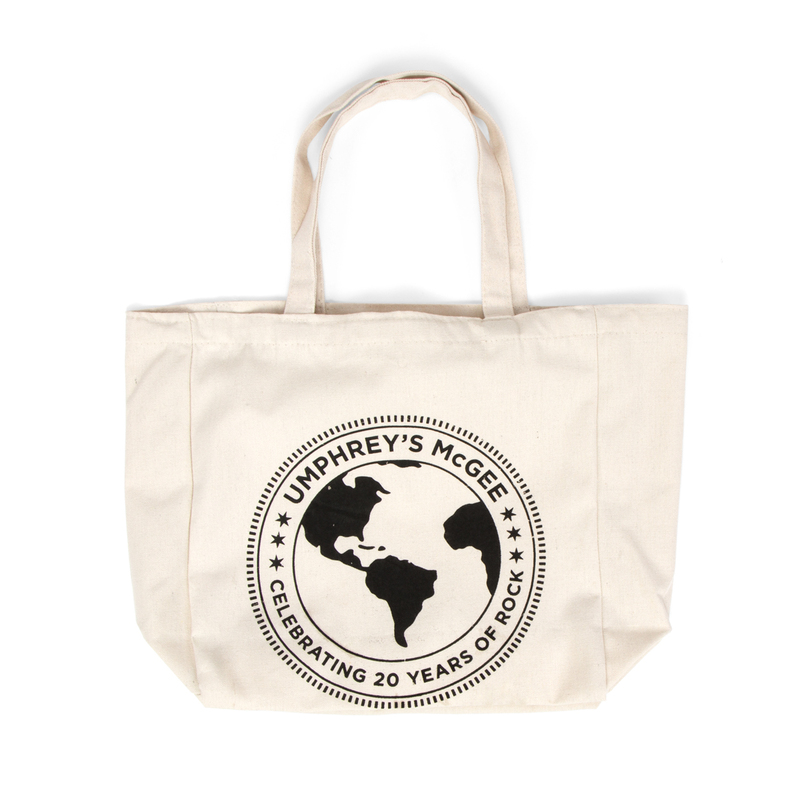 Show your love of Umphreys by carrying this tote around town or on campus! I work for a conservation organization and was very happy to see an affordable re-usable bag from UM! Totally rocked my dream face. It is a good size, arrived in a timely manner and had no issues in ordering it from their website. Easily integrated with PayPal, too. Thanks, and happy 20th year of existence earthlings!